Welcome to St. Luke's United Methodist Church! St Luke's United Methodist Church is a dynamic family of faith sharing authentic worship, genuine spiritual growth and humble service to all. Our members actively live our mission as we work within various church ministries seeking to enrich and better the lives of our congregation, community, and world. Our historic facility is located in the heart of Memphis, adjacent to the University of Memphis and easily accessible to East Memphis and Midtown. We offer event venues for all your meeting, wedding, party, or other event needs. With over 12 spaces from large to small, there is a space for your event! We can accommodate small meetings of just a few people to large gatherings of over 500. All of our events include room set up and tear down, the services of our Special Event Planner, custodial services, free parking, and St. Luke's security services. Weddings also include the services of our minister, the services of our sound specialist, and more. We also offer a dynamic Day School founded over 55 years ago, a Parents Day Out Program, and After School Care! Our Challenger’s After School Program is a 3 Star rated child care center! If you are looking for an intimate, charming location for your wedding ceremony, our Chapel is perfect for your happy occasion. Our Chapel seats 65. A wedding in our Chapel includes a rehearsal as well as your wedding, the services of our minister, the services of our organist, the services of our Special Events Coordinator, the services of our sound technician with microphones, set-up and clean-up of the venue, access to the venue two hours before the event to decorate and get ready, two dressing rooms before the event, and St. Luke’s security for the duration of the event. This package includes your ceremony in our Chapel and your reception in our Lounge. A ceremony in the Chapel includes a rehearsal as well as your wedding, the services of our minister, the services of our organist/pianist, the services of our Special Events Coordinator, set-up and clean-up of the venue, access to the venue two hours before the event to decorate and get ready, two dressing rooms before the event, and St. Luke’s security for the duration of the event. Your reception includes use of our Lounge, security, set-up and tear-down of your event, and the services of our custodial staff. Our Sanctuary is beautifully decorated year-round, with special décor for Easter and Christmas. Our Sanctuary seats 500 and includes a balcony. A ceremony in the Sanctuary includes a rehearsal as well as your wedding, the services of our minister, the services of our organist, the services of our Special Events Coordinator, the services of our sound technician with microphones, set-up and clean-up of the venue, access to the venue two hours before the event to decorate and get ready, two dressing rooms before the event, and St. Luke’s security for the duration of the event. This package includes your ceremony in our Sanctuary and your reception in our Fellowship Hall, including use of our Commercial Kitchen. A ceremony in the Sanctuary includes a rehearsal as well as your wedding, the services of our minister, the services of our organist, the services of our Special Events Coordinator, the services of our sound technician with microphones, set-up and clean-up of the venue, access to the venue two hours before the event to decorate and get ready, two dressing rooms before the event, and St. Luke’s security for the duration of the event. Your reception includes use of our Fellowship Hall, security, set-up and tear-down of your event, and the services of our custodial staff. This flexible package offers use of one or more of our meeting rooms, set-up and tear-down of the room(s), custodial services, and security services. We have rooms that hold 14 or less to rooms that hold 300 or more! Contact us now to see how we can help plan your event. Our charming chapel is perfect for intimate weddings up to 65 people. The chapel features lovely stained glass windows and traditional decor. Atmosphere/Decor: Traditional featuring stained glass windows and wooden pews. This room is perfect for meetings, parties, and other gatherings. It offers use of the nearby CLC Kitchen for food prep and serving, but no active cooking. Atmosphere/Decor: Simple, traditional, multi-purpose. A wonderful blank canvas for you to decorate! Special Features: Access to the CLC Kitchen for food prep and serving, but no active cooking. Our Fellowship Hall is perfect for all your banquet and reception needs. It seats up to 200 banquet style. 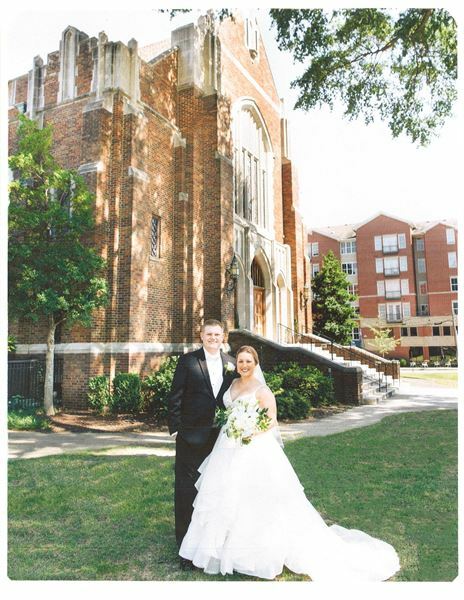 Rental includes tables and chairs in your choice of floorplan, set-up, tear-down, custodial services, the services of our Special Events Coordinator, and St. Luke's security services. Atmosphere/Decor: Comfortable decor that is a perfect canvas for all your decorations! Special Features: The Fellowship Hall is attached to our Commercial Kitchen, which is available as an addition to your rental. Our gym is perfect for a wide variety of events. From sporting events to banquets, this multipurpose facility will meet your needs! Atmosphere/Decor: A warm and inviting traditional gym. The perfect canvas for your decor! Special Features: The gym has a small attached kitchen that can be used for food prep and serving, but no active cooking. Our library is the perfect place for your meeting. You and your guests will be comfortable in this private space. Atmosphere/Decor: Our library has cozy traditional decor with lots of bookcases and books! Our lounge is our most popular event space. This flexible space is ideal for small wedding receptions, bridal or baby showers, parties, meetings, and more! The room has is decorated in neutral colors, perfect for you to decorate for a party! Atmosphere/Decor: The lounge has neutral color scheme, creating a canvas for your decor! A perfect room for meetings, small conferences, or training conferences! This room is excellent for hosting a speaker or having a meeting. Atmosphere/Decor: This room features simple, comfortable decor. The perfect room for your small meeting or other gathering! Our Parlor has been lovingly renovated with Southern Charm in mind. This venue is perfect for meetings or small hors d'oeuvres receptions. Parties in this room will benefit from the elegant surroundings. Atmosphere/Decor: This room has been lovingly renovated with elegant Southern Charm! Special Features: One end of the room has a large 4K television for all your audio-visual needs. There is also a small prep kitchen attached for food prep, staging, and serving. Our historic sanctuary seats just over 500. It features lovely traditional decor year-round as well as holiday decor for Easter and Christmas. The Sanctuary is perfect for any wedding. Other events may be held in the Sanctuary upon permission of our Pastor. Atmosphere/Decor: Our beautiful Sanctuary is full of warm woods and stained glass windows. The elegant decor is perfect for your event! Our large outdoor greenspace is perfect for picnics, carnivals, or any other large event!